August's Weekend Homesteader focuses on what the month is best known for --- the sun. You'll take advantage of solar energy directly by drying tomatoes or peaches in your car and clothes on the line, then will collect the sun's energy indirectly when you start a fall garden and find local produce in abundance. 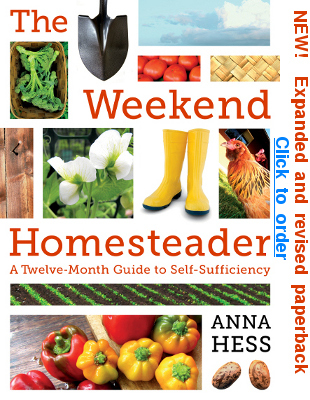 For those of you who are new to the Weekend Homesteader, this monthly ebook series walks you through fun and easy projects that introduce growing your own food, cooking the bounty, preparing for emergency power outages, and achieving financial independence. I hope you'll consider splurging 99 cents to buy a copy of my newest ebook from Amazon's Kindle store. Your purchases (and extremely helpful reviews!) kept last month's ebook in the top three percent of all Amazon ebooks, which has helped it see the light of day beyond readers of this blog. 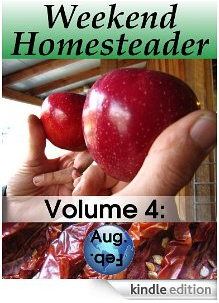 Weekend Homesteader: July has found its way onto 123 kindles already, which encourages me to keep writing. As usual, I'm also very glad to email you a free pdf copy to read if you don't have the spare cash, or just don't want to deal with downloading an app so you can read the ebook on your computer or phone. Just email me with your request --- no strings attached.